Summer is not typically a season in which I burn lots of candles, the reason being I spend more time outdoors than indoors but if one fragrance breaks such mould it is Jo Malone Blackberry and Bay. Imagine freshly whipped up blackberry jam. This is a combination of sweet blackberries combined with the leafy green note of bay. It is fresh, uplifting and fruity making it perfect for the warm weather. It seems candles are deemed more a feminine thing which is a little unfair as I know a good few men that enjoy a good scented candle but would rather something a little earthen than say your typical floral offering. 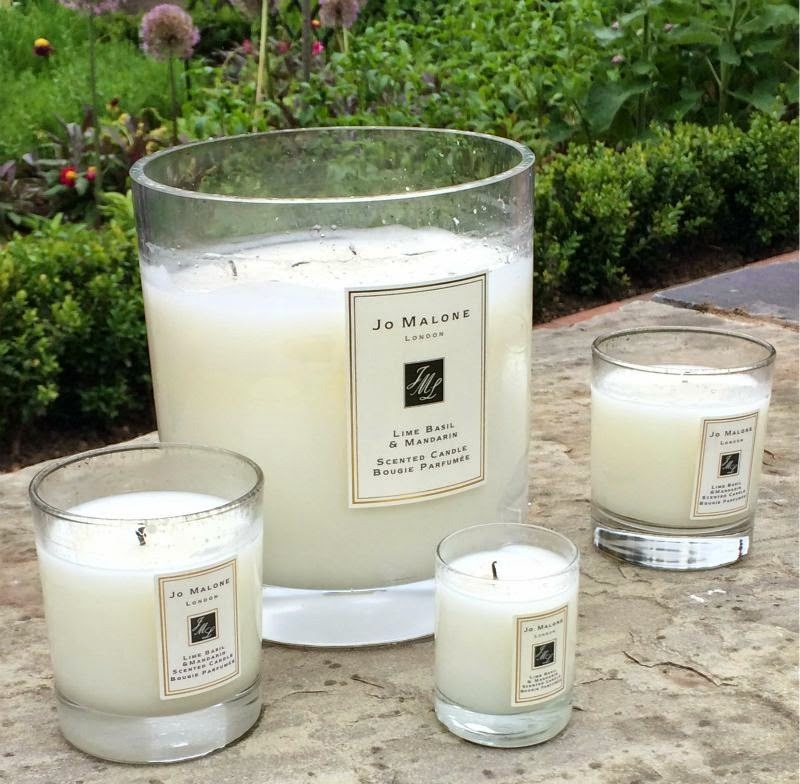 Enter Jo Malone Just Like Sunday Green Tomato Leaf, a herbal yet fresh infusion that reminds me of being outside in the countryside not the UK but rather Italy and Spain. It smells nothing like tomatoes and more like your local and authentic Italian eatery - a combination of herbs and other delectable treats. This is not the strongest Jo Malone candle I own but it does fill the room with its scent. It is pure magic and one of the most original candle fragrances I have ever experienced, I urge all those who crave a little different to go out and test this. You can find it here via House of Fraser - link. So you want something sugary sweet but minus the calories? This is the scent for you, in my opinion it smells really similar to marzipan but slightly more nut based. It is very more-ish but it is sweet and won't be to everyone's taste. If you like marzipan this is the one for you without a shadow of a doubt but be warned this has an extremely strong scent throw, this fills the entire house let alone my room with it's sugary notes which lingers for a good few hours. Find it here - link. Pomegranate Noir which is available all year round. Jo Malone list the scent as sensual with notes of ruby-rich pomegranate, raspberry and plum, spiked with pink pepper, laced with Casablanca lily and spicy woods. It is deep, heedy and somewhat mysterious yet smells familiar. It has a fruity base yet is deep and dark with tiny hints of spice trickling through and couldn't be more fitting for the Autumn/Winter seasons. I am tempted to say it reminds me somewhat of a refined Christmas mince pie but that doesn't do it much justice. Pomegranate Noir is like a cognac it warms, comforts, uplifts and leaves you feeling tingly and somewhat sleepy - to imagine it burning alongside a roaring fire is rather dreamy. It goes without saying that this has an intense scent throw, if you like your entire home filled each time you burn a candle then this should be your next purchase. Autumn may seem like a long way off but this is the scent to warm come the colder weather and a personal favourite of mine. You can find this here - link. If I am entierly honest Jo Malone Red Roses is my least favourite scent out of the bunch, that is not to say that I dislike it but more that it gets less love than my other four candles. What sets this apart from your typical rose scent is the complexity of notes which include a blend of seven of the world's most exquisite roses blended with crushed violet leaves and a hint of lemon. It's fresh yet deep and not at all powdery like some dated rose offerings. I can vouch that it fills the room with a realistic floral fragrance within minutes and lingers for a good for hours later after being snuffed out, if you are a rose fan I would be shocked to hear that you have not found a place for this in your collection. You can find it here -link. My next purchases? Would you be shocked to learn that there is not a single Jo Malone fragrance or candle I dislike? 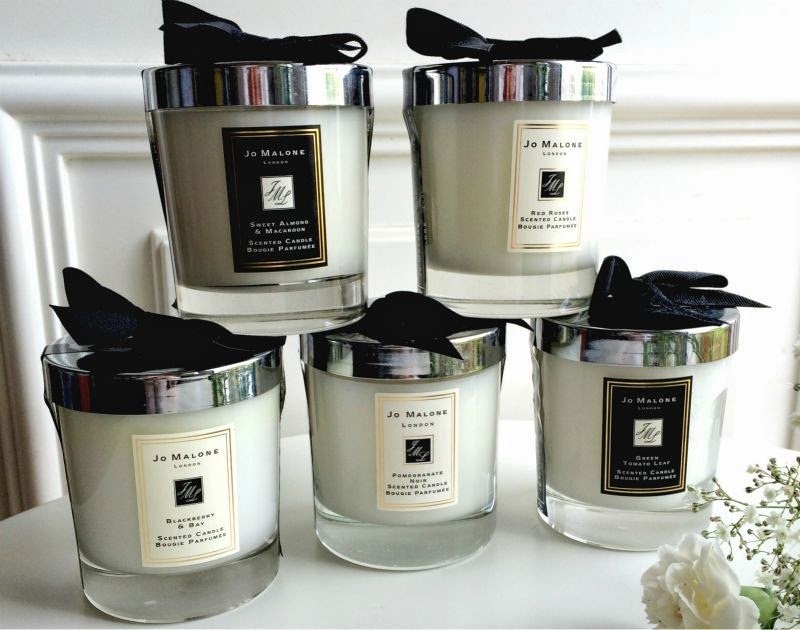 Probably not but I do have my eye on a Jo Malone Bluebell Candle as it is my personal favourite Jo Malone cologne and after that (most likely in Duty Free) Jasmine and Mint will sneak in my collection. This post contains press samples, a gifted candle and products I have purchased myself.